Hide deals from seller "Anytime Fitness Rockford/Janesville"
Limit 1 per person. Valid on a 1-year gym membership. Valid at Loves Park, Machesney Park, Roscoe, Beloit, Milton and Whitewater locations only. Promotional value expires 60 days after purchase. Advertising solicitation prohibited. Leap into a healthier lifestyle with this deal for 50% off a gym membership at Anytime Fitness, with locations in Loves Park, Machesney Park, Roscoe, Beloit, Milton and Whitewater ($99 value). This membership gives you access to a fully equipped fitness facility with free group fitness classes and a complimentary fitness assessment. With more than 1,600 locations across the country, Anytime Fitness has set itself apart from other fitness centers by providing a family-friendly and clean environment with 24-hour access to all of its members. The convenience in being able to go to the gym at any hour is unmatched, and Anytime Fitness has strong security at all hours. The lively music and refreshments keep this facility upbeat, so shape up with this invigorating offer. 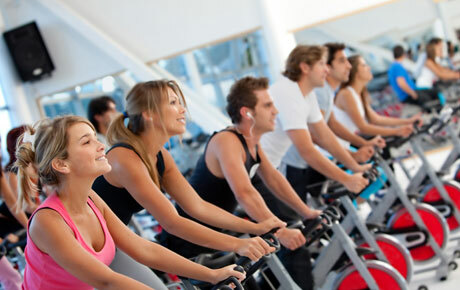 24-hour fitness center with locations in Illinois and Wisconsin that offers personal training and exercise equipment.